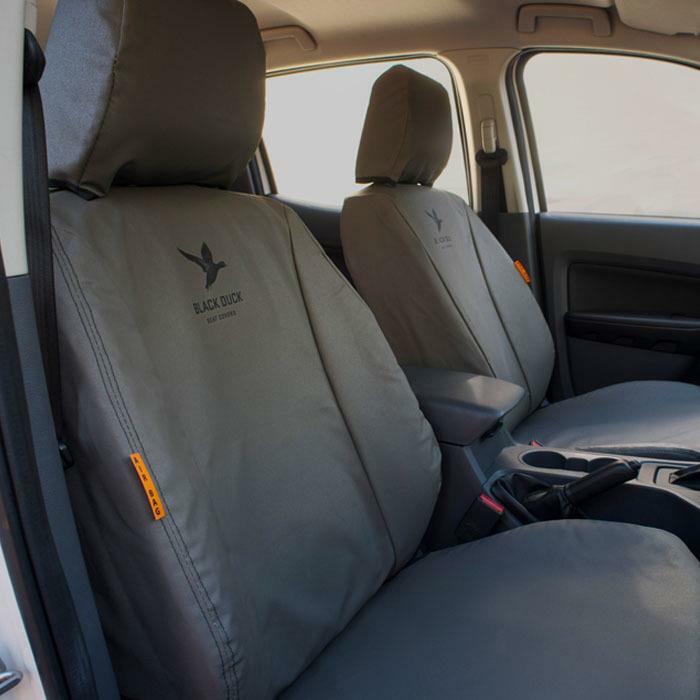 Australian made Black Duck canvas seat covers designed for Australian conditions. Easy to fit and do not slide once fitted properly. 100% waterproof and hard wearing 15.6oz military grade Australian canvas. Made from ultra heavy duty, tear resistant canvas with Dynaproof Technology. Protects seats from dirt and mud. Custom made seat covers. Side airbag compatible (if applicable). Improve resale value of vehicle. 12 months warranty. 100% satisfaction guarantee. Supplied in grey colour. Images are for illustration purposes only. Allow 5-10 days for dispatch.